Even though reviewers love them, none of these products can be substitutes for talking to your doctor! If you have consistent heel or foot pain, definitely check in with them. 1. 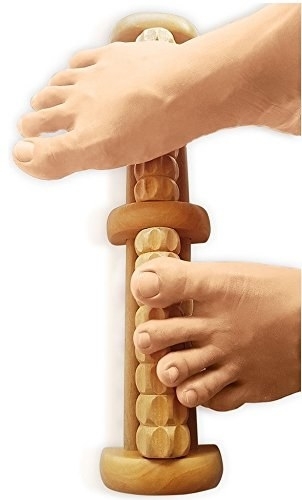 A rocking foot-stretcher so you can help relax your Achilles tendon and the fascia themselves. Of course, don't skip the stretches your podiatrist/physical therapist gives ya, either! 2. And a foot massager to use after your morning stretches — it just might help keep that painful ache at bay with regular use. Get it on Amazon for $8.95. 3. Some Dr. Scholl's insoles especially designed to help give your feet and heels some sweet relief day after day. They have a reinforced arch and a shock-absorbing heel cushion, and you trim them to fit. Don't forget to take out the original insoles in your shoes before adding any new ones! Get them on Amazon for $14.54 (fits men's sizes 8-13 and women's sizes 6-10). 4. Or some intensive Redi-thotics ~Controls~, which have extra-firm arch support that reviewers can't live without. Get them on Amazon for $49 (sizes A-F, corresponding to women's shoe sizes 6-14 and men's sizes 5-13). 5. 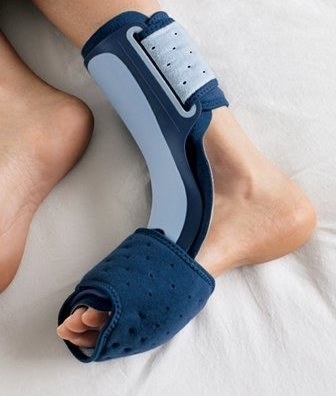 A comfortable sleep brace — it ensures your foot stays in the ~recommended therapeutic position~ as you doze. While that may feel weird at first, it can be totally worth it in the long run. You can wear it with or without socks, whatever you prefer! The adjustable, breathable straps and cushioned ankle cover help you stay as cozy as can be all through the night. Get it from Walmart for $19.23. 6. A velcro ice pack so you can sit back and relax while the chill helps relieve some inflammation. 7. A pair of lightweight and supportive Crocs — they're perfect for home, since going barefoot can aggravate PF even more. But no shame if you want to wear them everywhere else, too, because they're just so darn comfortable! Some reviewers say they're most comfortable when they add extra support, while others say the Crocs as-is are exactly what they needed. Get them on Amazon for $14.97+ (women's sizes 6-19, men's sizes 4-17; 41 colors, not all sizes available in all colors). 8. And because they're so great they deserve their very own callout: Birkenstocks, whose cork insoles help provide just the right amount of support in basically all the right places. Photo from when we asked the BuzzFeed Community for their favorite comfortable and cute sandals. 9. A different pair of insoles that are like the Goldilocks of shoe inserts: not too stiff, not too flexible, and juuuust right. Get them on Amazon for $19.98 (women's sizes 6-14.5, men's sizes 6-16.5). 10. A pair of socks featuring targeted compression to help support your arch just a little bit more. 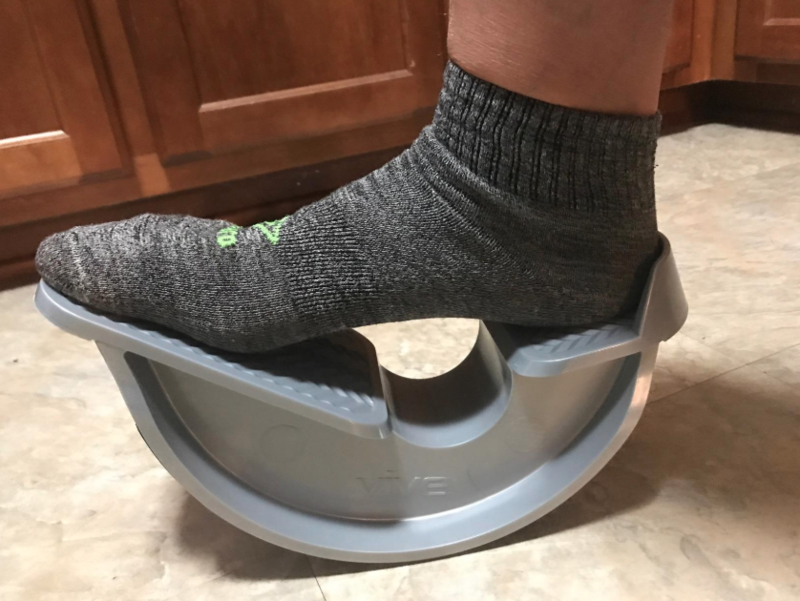 Promising review: "I have been wearing Feetures socks for over three years; recently, I have been plagued by plantar fasciitis in my left foot. I was so happy to discover that my favorite sock company made these relief socks! I can now run again without pain! I even wear them to bed to help ease the pain and heal overnight." —Debbie T.
Get them from Amazon, Zappos, or Feetures for $29.99 per pair. 11. Or a supportive compression sleeve that's comfortable (and thin) enough to actually wear under regular socks and shoes that could provide even more relief. 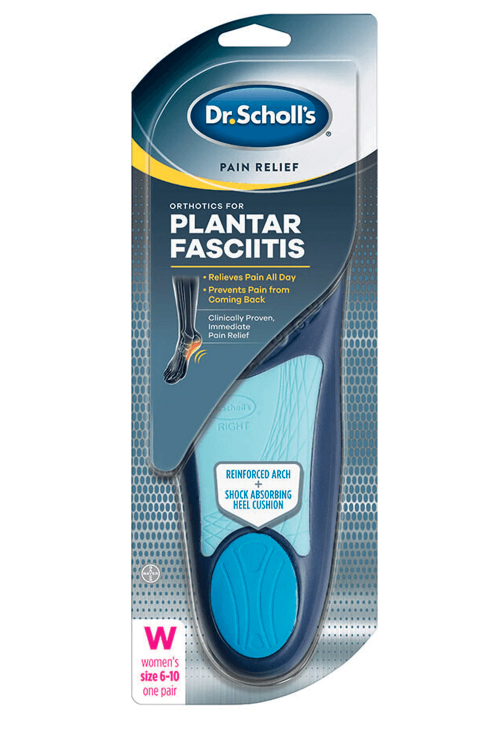 Get one from Amazon for $18.70+ (six sizes based on the circumferences of your ankle and mid-foot). 12. 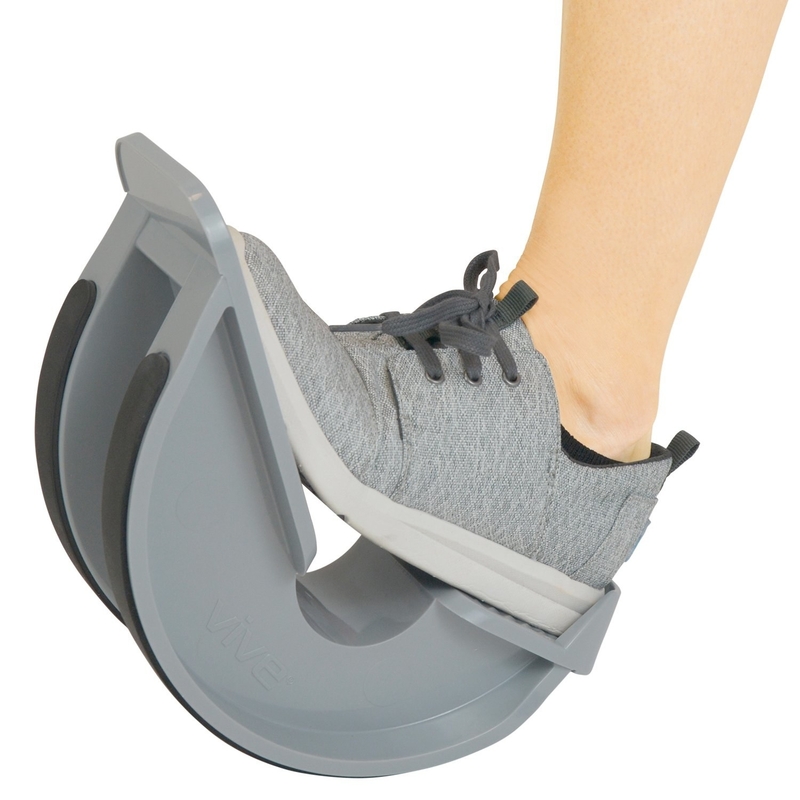 A deep-tissue foot roller you can use nightly to help ensure all the tendons, ligaments, and muscles in your foot aren't harboring one ounce of stress from the day. 13. A pair of toe-less compression socks with over 4200 five-star Amazon reviews. Some people say that wearing these provides so much relief that they can skip the sleep brace and *still* feel a big improvement! Get a pair on Amazon for $16.95 (four colors; small-XL). 14. A small rolling ball spiked with little stars all over its surface that act like little expert fingers, helping to deeply massage the pain away. Well, the massaging may feel a little painful at first, but reviewers say the relief is worth it in the end. Get it on Amazon for $6.45. I can't promise you'll be able to tap dance like Mumble, but you'll certainly feel like it the first morning you wake up with ~happy feet~! Want more? Check out the best places to buy shoes online, or the best shoes for wide feet if you need a little extra room.